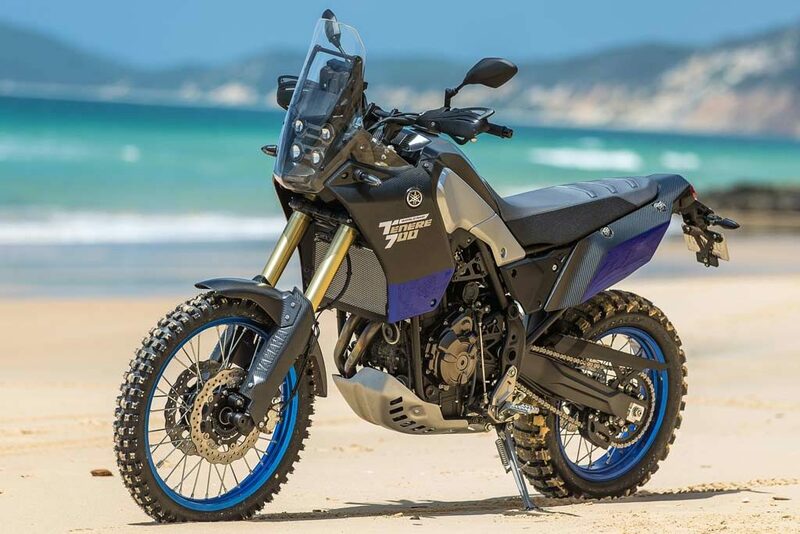 For the past two years or so Yamaha has been teasing us with the Tenere 700 – a multi-cylinder, middleweight, adventure bike with an off-road bias. The rumors have had the adventure riding world drooling at the thought. Imagine – an adventure bike that weighs 400 lbs or less would mean you could actually consider riding it on something more challenging than easy dirt roads and that you could pick up by yourself when you (inevitably) drop it. In other words, it would basically be a modern KLR. Exciting indeed. But, alas, Yamaha released some of the specs for the Tenera and, unfortunately, internet rumors and reality don’t quite mesh. The T700 reportedly weighs 452 lbs and we aren’t sure if that weight is “dry” or “ready to ride”. Likely it is the weight of the bike sans fuel. That one spec, more than any other, has disappointed the adventure community. They were really hoping for a 400 lb, ready to ride, adventure bike. To be fair, a 452 lb adventure bike, while still being way too heavy, is a bit lighter than other comparable bikes such as the BMW 800GS (478 lbs) and the Triumph Tiger 800 XC (474 lbs). While I understand the disappointment rippling through the adventure community, my response is that the middleweight adventure bike everyone seems to be clamoring is already available. It has been in production for three years and is manufactured by one of the major players. We will talk about it next. How Much Do They Really Weigh?